"food was a pleasant surprise"
✅ Trip Verified | Bangkok to Hong Kong. I was on a 787 which was a continuation of a flight from Addis Ababa. Check in was not good. I was the first in line in the Star Gold line, and there were three open desks. But none of the staff appeared to be working. The one desk which was processing customers was dealing with someone who was clearly a difficult customer, and wouldn't be finished any time soon. Since I had only carry on luggage and had checked in online, I decided to skip the counter and verify my documents at the gate. No problem there. The plane was nearly empty--maybe 40 guests on a 787. We all got rows to ourselves. We boarded on time, but left a little bit late. The seats were worn out, this must have been one of the oldest 787s in the fleet. The entertainment system was also a bit beat up, but the selection of both international and African films was surprisingly good. The food was also a pleasant surprise, delivered quickly, tasty and hot. The inflight team had a way to go to live up to international standards. They seemed to be barely able to hide their contempt for their passengers, which seemed strange. But you could see where some of that was coming from, there appeared to be a training attendant who was constantly criticizing them, her face never broke from an angry scowl. I wouldn't not fly them again. But as long as there are other choices, I'd probably look elsewhere. ✅ Trip Verified | Vienna to Windhoek via Addis Ababa. Was pleasantly surprised. Aircraft was very clean and new. The food (booked vegetarian) was delicious. Service was very friendly and accommodating! Was a perfect flight for our trip to Namibia. DE: War positiv überrascht. Maschine war sehr sauber und neu. Das Essen (gebucht Vegetarisch) war lecker. Service war sehr freundlich und zuvorkommend! War ein perfekter Flug für unseren Trip nach Namibia!! Not Verified | Johannesburg to Stockholm via Addis Ababa. A real pleasure to fly on an airline with new aircraft. Staff were very friendly and answered all questions with a smile. Only downside is Bole International Airport in Addis Ababa, it is overcrowded, confusing and a really bad Business class lounge. ✅ Trip Verified | Ethiopian airlines is a world class airline, comparable to Emirates. Plus, they’re half the price of Emirates. 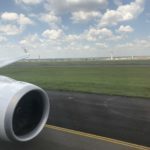 I recently flew ultra-long haul 23 hours each way from Bangkok to Buenos Aires and returning from Newark. Both flights had two stops for crew changes. Check in at Bangkok Airport seems disorganised and the location of the check in counters which are next to El Al means you are checking in next to armed security personnel which gives an uncomfortable feeling. My hopes went up when I visited the EVA Air lounge which was very good. Boarding was extremely disorganised, they shouted out business class passengers but I was blocked by other passengers from entering the gate. We had the older business class product which is similar to Turkish Airlines A330, but compressed into a smaller cabin. You had a choice of mimosa, champagne or orange juice on boarding, and the cabin was 50-75% full on all flights. After a late night departure, only three passengers chose to have dinner, so there was no excuse for slow service. Within an hour after takeoff, I had enjoyed a very good late night meal. 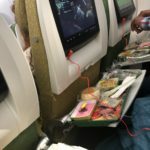 They plate the food on board the aircraft and place individual elements on the tray table, rather than bringing it out on a tray. After which, I slept like a baby on their comfortable seat. A comfortable quilt is provided, business class quality, but the pillow is too small. Transfer in Addis Ababa is messy, but you manage to get through somehow. The cloud nine lounge is one of the most unique I have ever experienced, and instead of doing an ear-wrenching PA a lounge attendant walks around shouting different destinations which are ready for boarding. I felt this was acceptable as they didn’t want people missing their flights. I thoroughly enjoyed a six-course meal on the flight to São Paulo, including some local dishes. One thing they do right on Ethiopian is every chicken dish I’ve had has always been moist and not dried out. Great job on that! The crew were courteous and well-trained. They were more than willing to go the extra mile. There were Enough movies to keep me entertained for all flights. The return from Newark just proved to me they are better than Emirates. The flight was delayed due to weather and late arrival, so when they announced the delay I asked if I could wait in the business class lounge. The gate agent said she would pick us up and whisk us through when the flight was ready to board. Sure enough, 30 minutes later, the gate agent comes and sees me and whisks me and other business class passengers through a very crowded boarding area. The flight was delayed three hours due to de-icing and weather, and by the time we got to Addis Ababa, we literally had five minutes before the flight was scheduled to leave. No problem, they whisked all tight connections onto a bus and drove us straight to the plane, and I was literally the last passenger to board the plane. All these little details clearly make Ethiopian Airlines a world class airline. When I re-read their website, they define their cloud nine as “a mix between first and business class.” I can very clearly see elements in the soft product which accounts for first class service. The hard product is still business class, to be fair. I would have no hesitation in flying Ethiopian again at all. Not Verified | Addis Ababa to Atlanta. The staff at Ethiopian airlines in Addis have the worst customer service I have experienced. I and my two friends reserved our seats almost two weeks prior to our flight.They gave my friend's window seat up to another passenger; and when she questioned the agents who were handling customer care, they said that they could not do anything for her. I am shocked how unprofessional the staff was. I and my two friends were also told by the same people that we can not get on the plane if we keep questioning them about her window seat. No apologies from anyone at all. I am so disappointed, and I will never fly Ethiopian airlines again. "confusion on arrival in Addis"
✅ Trip Verified | Frankfurt to Juba Via Addis Ababa. I am struggling to find a way to say anything positive about my experience with this airline. 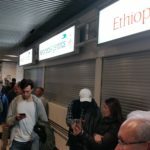 From the confusion on arrival in Addis as to where to take the next connection, got into the right terminal eventually, meeting unfriendly ground staff, business lounge had no urinal, one basin toilet that did not have water, and luggage that did not arrive with me at destination. ✅ Trip Verified | Mombasa to Kuala Lumpur via Addis Ababa. Ethiopian performed well again, check in slow at origin, some hassle over stopover in ADD but resolved in the end, smooth flight to ADD, special passport line in ADD, check in for next flight in ADD very convenient, lounge adequate, special boarding zone and boarding bus for business class passengers, smooth flight, on time arrival, transit in Singapore nuisance again, all transit passengers get off and be security checked again. Baggage arrived in KUL as priority. 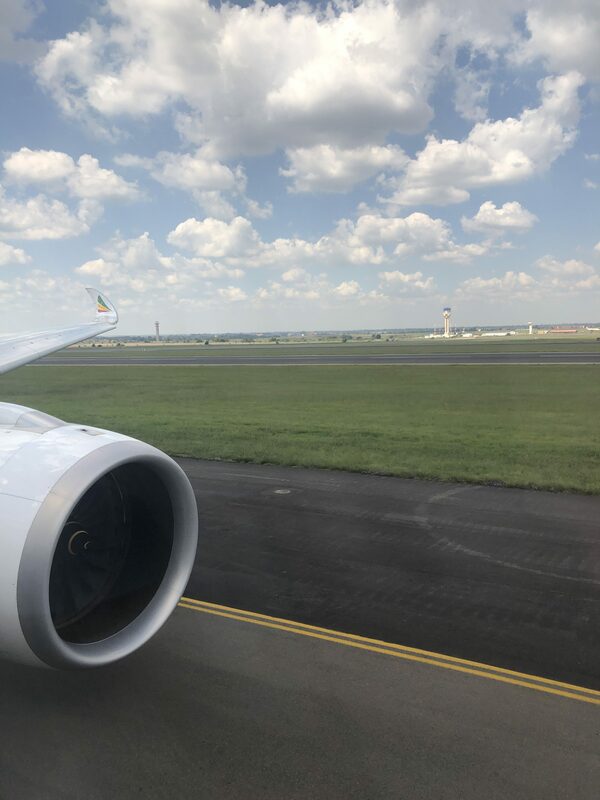 "Had a very good experience"
✅ Trip Verified | Flew Kuala Lumpur to Nairobi via Addis Ababa. Had a very good experience with Ethiopian Airlines. Check in KUL very efficient, boarding smooth, transit in Singapore a hassle, why did transit passengers have to get off in the middle of the night to be security checked again? Flight very comfortable, arrived on time in ADD, transit lounge leave a lot to be desired, but boarding for connection very convenient with jetty and arrival on time in Nairobi. Bags arrived first as priority! ✅ Trip Verified | Madrid to Cape Town via Addis Ababa . Both flights were on time and cabin crew were friendly and helpful throughout. I chose Ethiopian based on routing and overall point to point travel time. I was a bit concerned, because my connecting time in Addis was just over one hour - tighter than I think I could do at any European airport. But Ethiopian managed this with flying colors! Not only that, the overall comfort level on the planes (787 and 777) was quite acceptable, better, I think, than what I would expect on an American carrier (though lower than on, say, Emirates). The aircraft inbound to Addis from Madrid wasn't as clean as it should have been (and the toilet paper ran out in one bathroom). 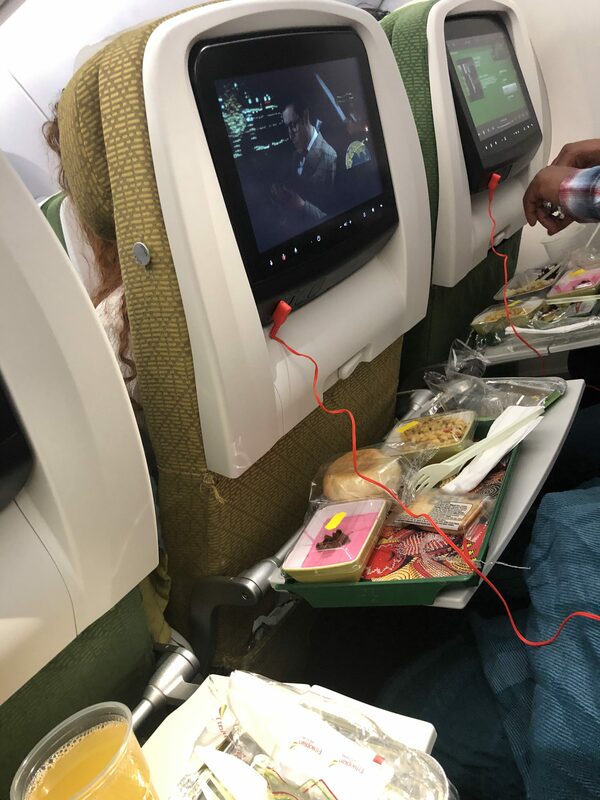 The aircraft outbound from Addis was properly cleaned (probably they do that kind of servicing only in the home airport), though the food on that leg was substandard (worst dessert I've ever tasted, but I would consider that a small fault). 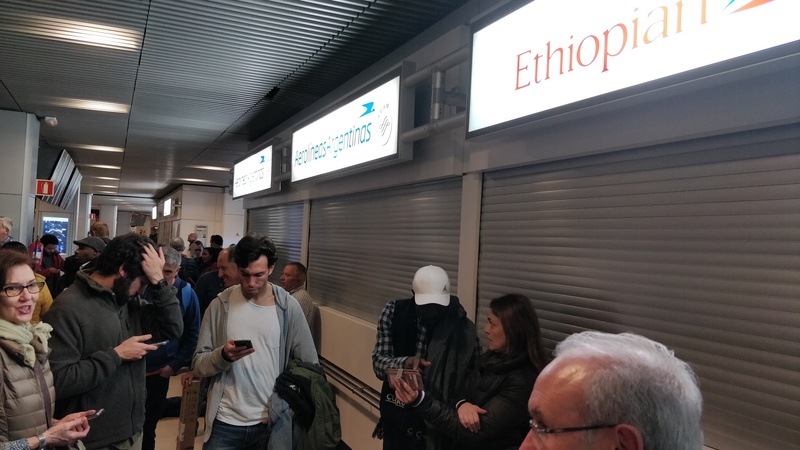 I should note that the new terminal in Addis wasn't completely ready and it was literally impossible to get information on my connecting flight's departure gate from the monitors. In the end, I trusted my Madrid-printed boarding pass, which did the trick. Verdict: not top of the heap, but my first experience on Ethiopian was a generally positive experience. In fact, I've booked another trip from Europe to South Africa with them for later in the year. » The Top 100 Airlines announced at the World Airline Awards. » Take a look at our gallery of Japan Airlines lounges, Tokyo Haneda Airport. » Check our tips on how to try and find the best airline seat on your next trip. » See the First and Business Class airline lounges voted Best.